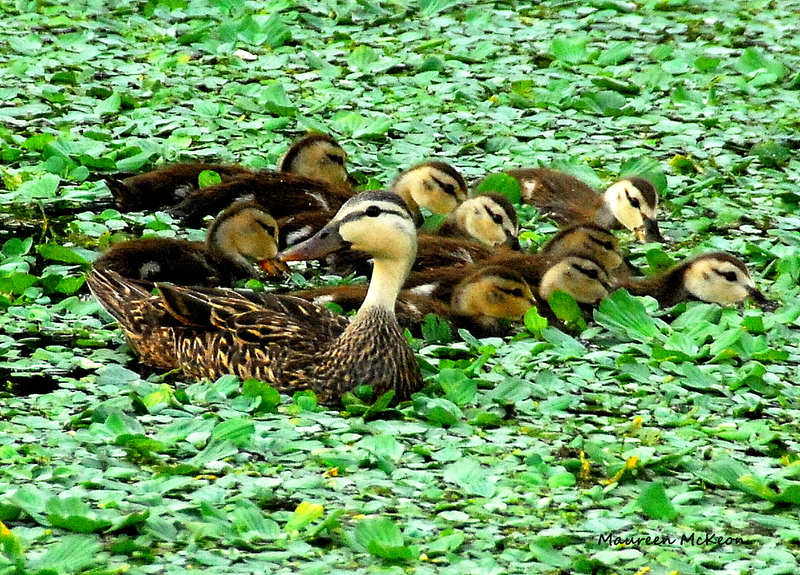 Moms come in all shapes, sizes, and colors – and feathers! In honor of Mother’s Day, I thought I’d share a few photos of mamma birds and their adorable, fuzzy babies. During the last three months at Wakodahatchee Wetlands and Green Cay, I’ve watched avian moms sit on nests, keep their baby chicks warm and safe, feed them (a lot! 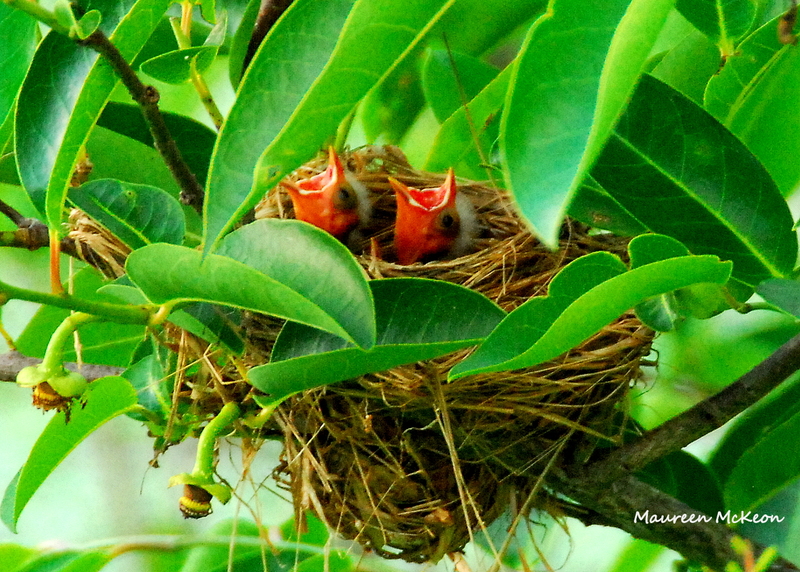 ), encourage them to try out their wings, and eventually – push the fledglings out of the nests! These fuzzy-headed great blue heron chicks make quite a racket! 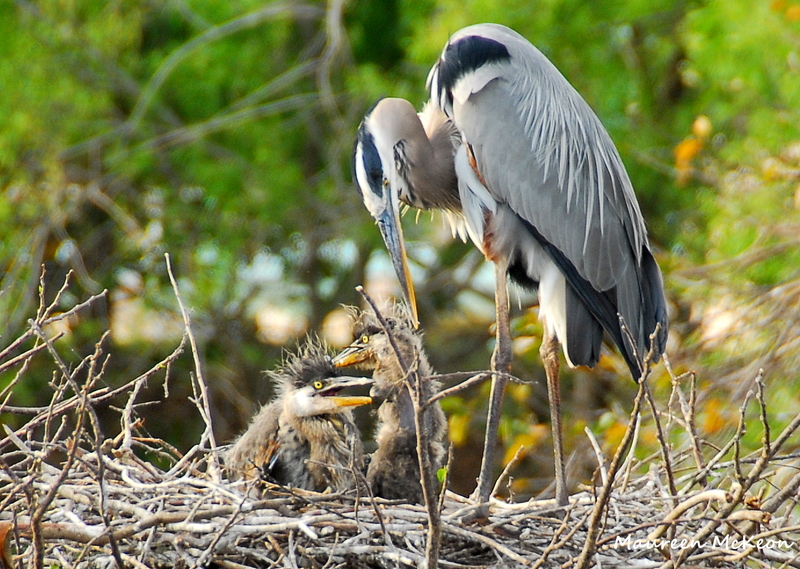 Before you even get to the first big rookery tree at Wakodahatchee Wetlands during nesting season, you’ll hear the cacophony of chirping from all types of chicks, but the baby great blue herons seem to be the most incessant. And here’s the mamma GBH with her catch of the day – enough to feed all three little ones. 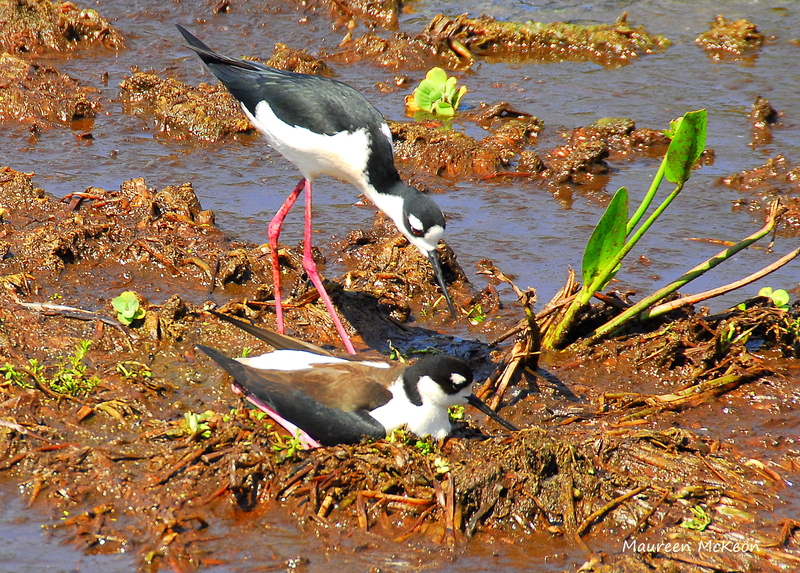 This pair of black-necked stilts was oblivious to the paparazzi at Wakodahatchee. 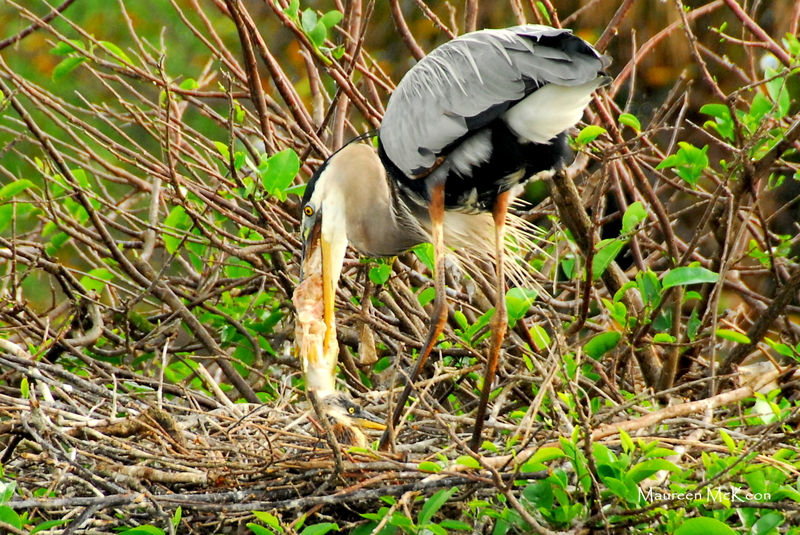 As the mother sat patiently on her nest, papa stilt cleared the perimeter from debris and chased away other birds. 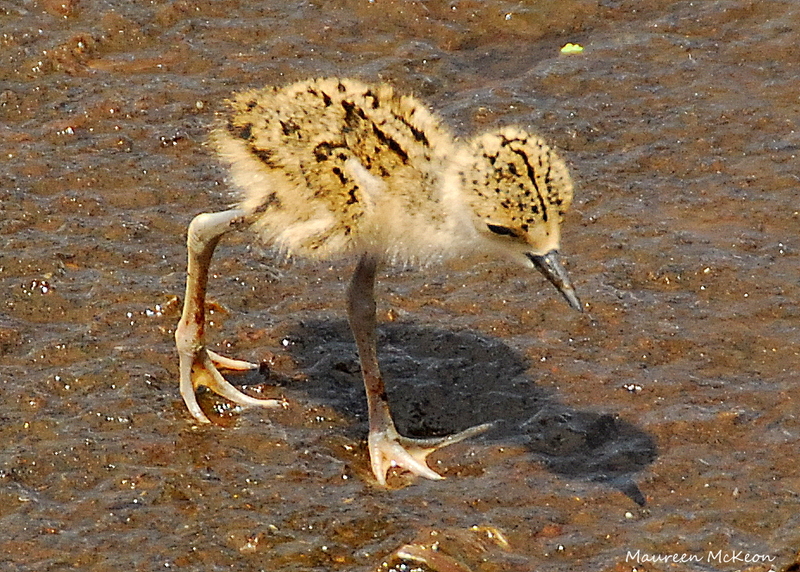 It was worth it – there are now four of these tiny cuties trying out their stilt legs. 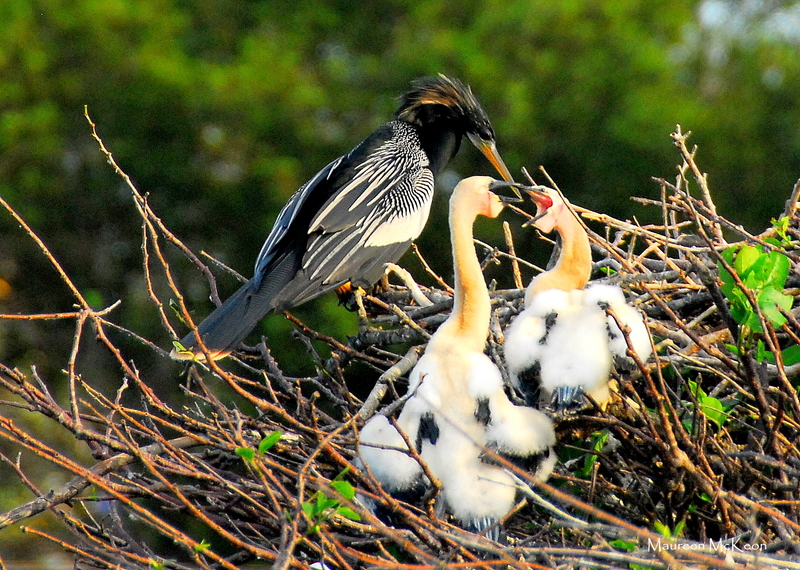 More hungry mouths to feed – these baby anhingas will stick their heads right down the mother’s throat to chow down on partially regurgitated fish. Wow – what mothers will do for their kids! 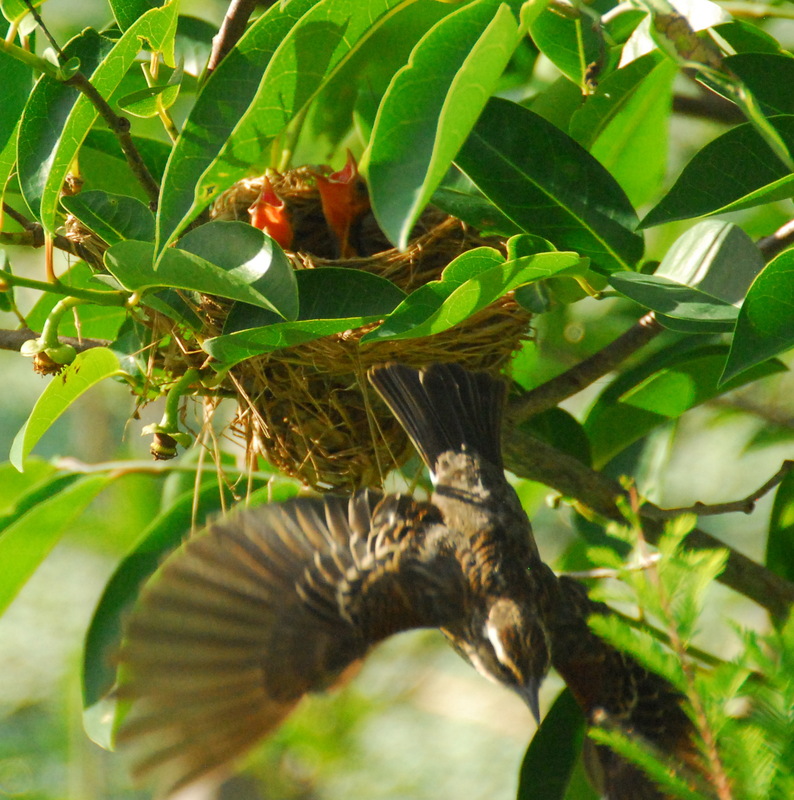 The red-winged blackbirds love to sing and chirp, and the chicks at Green Cay are no exception! Here they are, singing for their supper. Mom is leaving the nest to look in bushes and on the group for insects to feed her hungry babies. 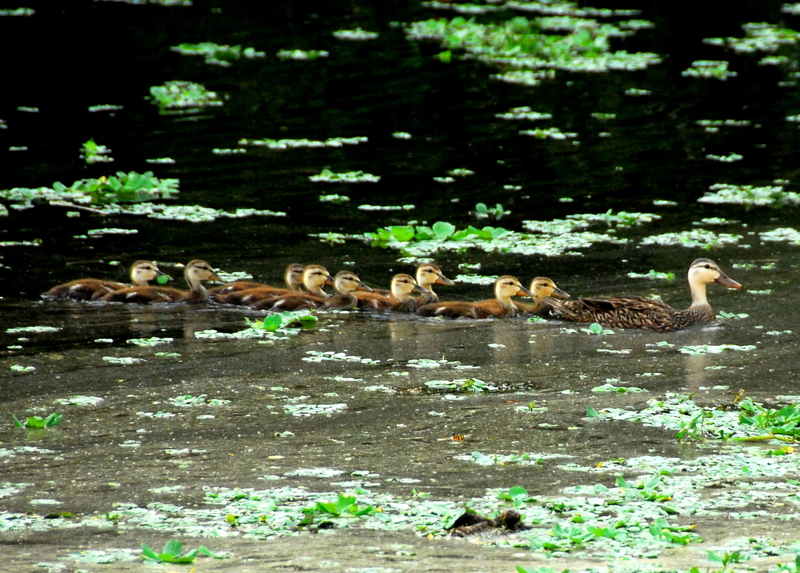 After watching the red-wing blackbird babies, I saw this mottled duck at Green Cay lead her nine ducklings in a straight line through the pond and into the duckweed (yes, that green stuff is really called duckweed). This family of ducks made me think of my own mother, who raised nine little ducklings: eight boys and one girl (that would be me). Sadly, my mom is no longer with us, so I dedicate this post to her. So What’s the Lesson These Birds Can Teach Us?